/ Can marital life be difficult even after matching horoscope? In Hinduism, the institution of marriage is very high regard and considered very auspicious. 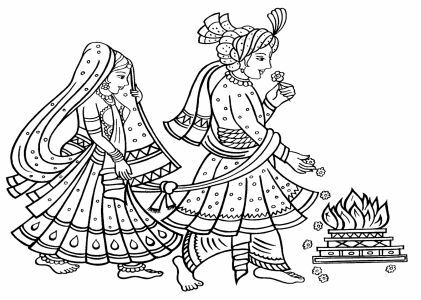 While there are many rituals and customs are performed for the success of a couple’s marriage but the most important among them is Kundli Milan aka matching of horoscopes. But is matching of horoscopes enough to ensure the success of a marriage? Many people argue that in ancient times marriages were successful even when horoscopes were not matched! I would like to object to this notion and add that horoscope matching has been a common practice across ages where women were respected, held in high-esteem, and considered equal to men. Unfortunately, in the middle ages and even today, places where women are objectified, de-valued, limited only to housework and raising kids, made to do live inhuman conditions, is where no horoscopes are matched. This is because the women here are with a reason – to bear kids and keep house. However, when a man considers woman to be his equal with same rights and opportunities, a true soulmate or better half, matching horoscopes is a must! But despite matching of horoscopes, it is often seen that the health of a couple’s marriage deteriorates, causing much unhappiness and obstacles. This can be due to one’s physical health or because they are unable to conceive or plan a child. One of the main reasons could be due to disputes between the couple caused by their clashing personalities. All these reasons together make for a very unhappy marriage. When matching horoscopes, we only consider matching 8 main criterias, i.e. Ashtakoot, of both – the would husband and wife which would help them live together in mutual harmony. However, this should not be the only criteria. Before matching the horoscopes, one should keep in mind the following points and that personality traits of the bride and groom should be determined by reading their individual horoscopes as well. 1. Bride and groom’s life longevity – it is important to determine the longevity of both the would be bride and groom’s life. This can be done by studying the Lagnesh or Lagna Lord and Ashtmesh doshas in the horoscope. This is very important because if there is a doshas that indicates a shorter life for the would be spouse, it be will unfair to the other person to go ahead with the match. With this knowledge this dosha can be remedied. 2. Health of bride and groom – another importantfactor, this can be determined by studying the Lagna lord, lord of 6th, 4th and 8th house, and moon in the both the individual’s horoscope. This analysis can help to know if either of the would-be spouse’s has a history of illness that will be a constant in their life ahead. 3. The position of the 7th House in the Bride and Groom’s personal horoscope – this is the most important point! This is because if in either of their horoscopes the 7th house is weak or the lord of 7th house is in retrogade or the lord of 7th house is exalted in 6th or 8th or is positioned in the 12th house or is under influence of malefic planets, even if all 36 of 36 guns match in the horoscope, the marriage will not be successful or the couple will face many hardships together. 4. Prospects of children in the horoscope – As I have mentioned before, the foundation of the universe is based on expansion and marriage leads to procreation of new generations. Therefore, it is important to study the condition of living children in each of the would-be married couple’s horoscope. This should be done even before their Kundalis or horoscopes are matched. 5. 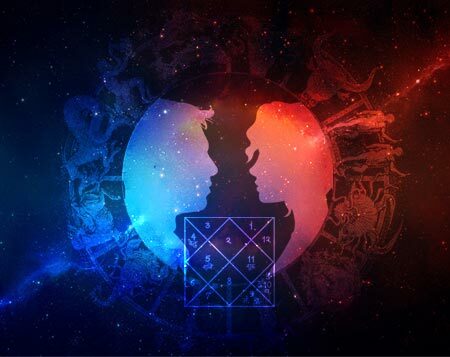 Position of Mars in the horoscope – for a successful married life, it is important to study the position of Mars in the couple’s horoscope separately. If there is commonality, then even if the couple can go ahead and tie the knot. However, it is important to understand that it could be dangerous if the reason or extent of Mar’s influence on either of the horoscope remains unknown. 1. If there are doshas in the horoscope that need to be remedied, then they should be solved prior to marriage. And for this, one should seek help from a renowned or learned astrologer. 2. In cases where the 7th house is under cruel influence or is weak, then Vedic Shanti puja or remedy should be performed as no gemstone remedy can help the individual for this particular problem. 3. The horoscope of the bride and groom should be studied in case of Mangliks and they should seek appropriate Manglik partners once they have performed the Mangal Shanti Puja. 4. If there are multiple doshas present in the horoscope or the individual is already married but unable to continue with the relationship, then the only way out is to perform a Puja or ritual to please Ma Katyayani. Can astrology help decide who will get the custody of the child? What do Shahid Kapoor’s numbers say about his marriage, films and future? Troubled marriage- can astrology help find happiness?